Havana surprises, entices, and beguiles at every corner, with a culinary scene to match, and a cuisine that once again is being influenced by the world while reinforcing its Spanish and Creole traditions. Thriving bars and contemporary eateries now sit side- by- side with traditional paladares and exceptional street vendors selling Caribbean staples. But how is a visitor to know where to find the best authentic dishes? Chef Fernando Saralegui is your guide. Born in Cuba, he returned to the island in 2013 and has been a frequent visitor ever since in his mission to celebrate his country’s food, people, and culture. 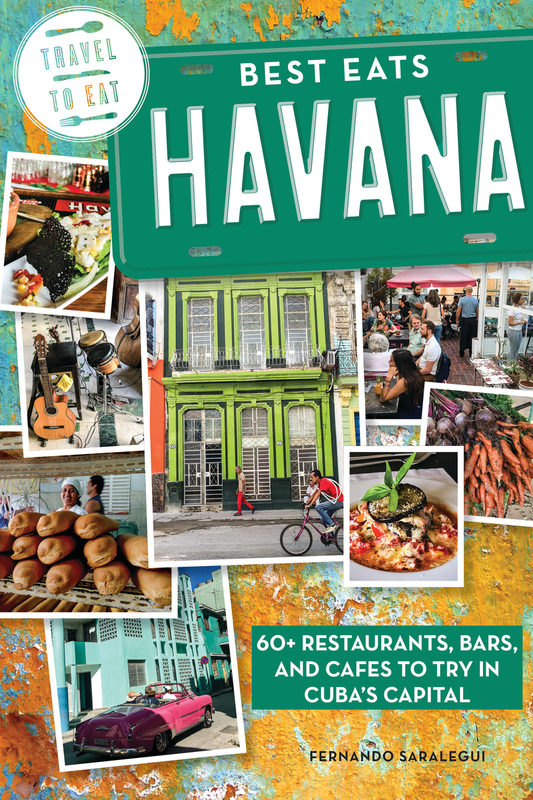 Best Eats Havana combines restaurant reviews, essays on Cuban food, and snapshots of the culinary scene in this time of great change for the country, along with a handful of recipes from the classics ( lechon asado, ropa vieja ) to the cutting edge of contemporary cuisine. With a record- breaking five million tourists visiting Cuba in 2017 and few food- specific guides out there, this will be an indispensable companion for both first- time visitors and seasoned travelers alike. Fernando Saralegui is a restaurateur, writer, producer, and the former director of the Texas Hill Country Wine& Food Festival in Austin. After paying his way through college by working at Chez Panisse, he spent time in some of New York City’s best loved restaurants, including Raoul’s and Odeon. He is the proprietor of Papi’s Kitchen, in Austin, Texas.